oh yeah I bet she can hardly sleep at night. Awwww. Poor soul. I feel for her. I’m sure she’s crying in her beer over it. The tale of two programs going in opposite directions would be the men's and women's basketball teams at Tennessee. Barnes and Assistants are turning three star players into five star players quickly. Lady Vol Warlick and Assistants are turning five star players into three stars players rather quickly. On the bright side, our gals are not losing to CT anymore. Some of don't care if she can tie her own shoes as long as she can coach winning basketball. 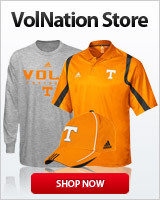 I have never understood the demand for Tennessee ties among our fanbase. I just want someone who views UT as a destination and can fix the problem. I'd be very okay with landing her as the next coach. Not sure if there's a correlation, but UCONN has soared to new height since Ralph joined the Huskies in 2008/09 and she's always been very respectful of the program and has made very nice statements about Pat Summitt. I'd rather get someone with head coaching experience, but if we go the assistant route for Holly's replacement I hope it's her or Ivey. So what if she is. I mean someone is bringing all those recruits to UConn. You go undefeated for 100 and something games (i forgot how many they won in a row) you probaly need to look at some of Geno coaches. She has been to Knoxville to Pat's camp. I’ll take a LV alum instead. need fresh start sadly Pat is gone and her legacy is going as well. Shea does not give a RATs arse about the LVs. She had her chance to come here and went to ucant instead. Stay with geneoff and hush up! There's literally no LV alum out there who's even in Ralph's stratosphere in terms of coaching OR recruiting prowess. We need really need to get over this thing where we will only take a LV alum. It will really hinder our shots at an elite coach otherwise since there are exactly zero elite coaches (HC or assistants) that are LV alums. This is not to say Ralph would come here. I don't think she's on the radar and she's clearly in the driver's seat to become the UConn HC once Geno retires. However, if she had interest in the job UT should definitely talk with her. No question. To me she and Niele Ivey are the two best assistants in the country hands down. Not saying it has to or should be a LV alum. But, I certainly will take one over a UConn alum. Holly’s had her turn at the reins, clearly this is too much for her to handle, so I will be happy with someone else coaching. I’m sure there will really do their homework when and if this crossroad comes upon them. I don't care where a good coach played. I want the best coach available when the change is made.